Are you new to Baby Led Weaning? Not quite sure what things to have on hand for your little one? 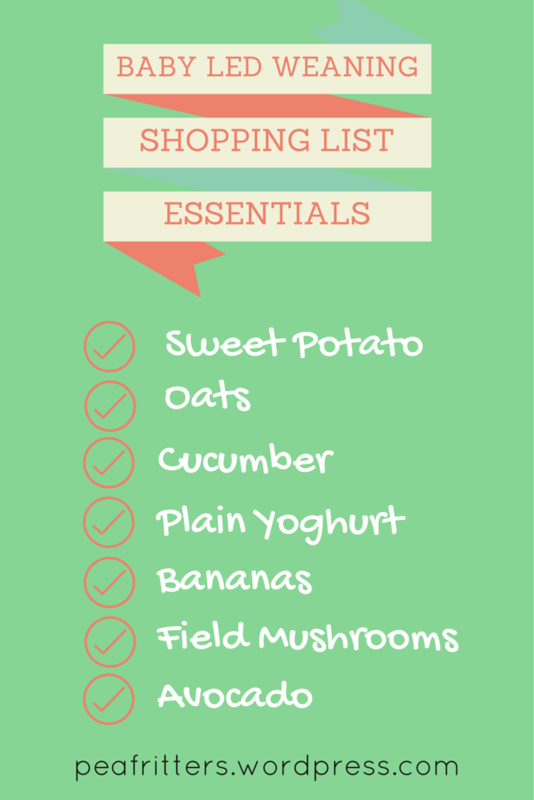 Use this handy shopping list at your next grocery shop! Life with little ones can be so much easier when you’re prepared. I learnt this lesson when Possum started solids. It’s basically what led me to try meal planning! Here I was in the kitchen everyday at 5pm with a hungry tot and absolutely no idea what to feed her let alone Legoman and myself! That’s not a happy head space to be in everyday. Since then meal planning has saved our hungry tummies and tired brains many times over. But the other little trick that worked was getting to know what foods were easy, quick and nutritious for Possum to have. I would make sure these would go on our shopping list each week so that I knew there was always something in the house Possum could eat if she wasn’t too keen on whatever it was we were eating at that meal. Here is a shopping list of great foods for baby led weaning so that you can have a quick reference and help your day run a little smoother. Is there anything you would add? I would love to hear and I can add to the list. Banana – and here is a little trick to make it easy for bub to hold: use your little finger pushed into the end of a peeled banana to split into three segments. Game changer! Sweet potato – makes sweet potato wedges super easily. Cut into wedges and roast at 180°C for 30 minutes or until starting to brown. Field mushrooms – possum loooooooved to demolish a roasted field mushroom for dinner. Roast at 180°, smooth side down, with some olive oil for around 20-30 minutes. Cut in half to serve. Cucumber – or cubumber as Possum now calls it. Cut into sixths for easy to hold chunks. We never bothered to peel it. Oats – mix 3 Tbsp oats with 3 Tbsp water in a rounded dish then microwave for 2 minutes. Easy! Comes out as a very easy to hold oat biscuit. Pear – allergy friendly and easy to munch. Avocado – the perfect foot for baby led weaning! So much messy fun! Cut into chunks and have the bath (and camera) ready! Yoghurt – plain full fat yoghurt. Offer on a preloaded spoon or put in a bowl and embrace the mess! A great substitution for sour cream in recipes too! Now our Possum is two! We are really pleased to have gone down the Baby Led Weaning path. It was such a fun and enjoyable way to introduce food into her world. We are due with bub #2 in August and I am certainly going to choose to do Baby Led Weaning again. You can read a bit more about our Baby Led Weaning experiences here and here. How’s Baby Led Weaning going for our family?